I'm challenging YOU to the 100k Jump Rope Challenge! I love to jump rope because it's an insanely healthy and physically beneficial activity that you can do from anywhere in the world. My jump rope comes with me to every country and every city where I go because jumping rope is one of my favorite ways to stay in shape while I travel. And that's why I'm challenging YOU to the 100k Jump Rope Challenge! Share this post or the video above on your Facebook and declare to your friends that you're starting the 100k Jump Rope Challenge! And then go buy a jump rope if you don't already own one. 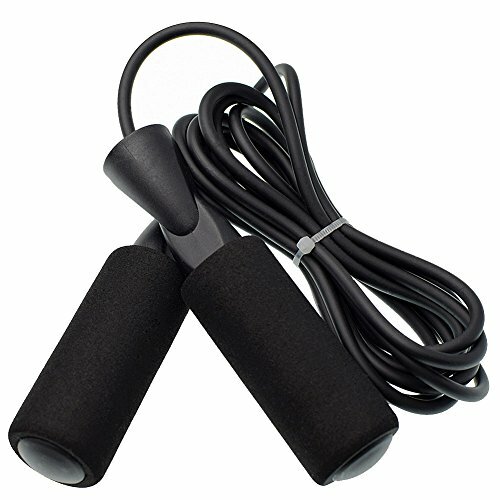 Can't find the perfect jump rope today? Who cares! Buy the first jump rope, bungee cord, or chain that you can find and start now. You can always order the perfect jump rope later and it'll be at your door in a few days. I use this adjustable length ritness rope but there are tons of other great jump ropes out there so don't let that stop you. How do I keep count of my jumps? I like to do sets of 100 and keep count of how many sets I do during each workout. And then at the end of my workout, I write the total number from that day into my daily ledger. (I use Google Keep on my phone as my daily ledger.) In the past, when I've done this challenge, I quickly graduated from doing sets of 100 to sets of 500 or more, but I still found it easier to count in sets of 100. For example, I'll count like this… 97.. 98.. 99.. 2400. And I'll usually say the 2400 part out loud to help me remember which set of 100 I'm on. I've got a few rules for this challenge to keep me honest. Rule #1: If you lose count and forget where you're at, you have to go with the lower number. For example, if you forget whether you're about to hit 2600 or 2700 jumps on this set, you have to go with 2600 because you're not 100% sure. This will give you incentive to keep proper count! Worse case scenario is that you end up doing a few hundred more jumps than you anticipated throughout the challenge – and isn't that what this is all about? Rule #2: If you don't complete a jump, it doesn't count. For example, if on jump #20 in the set, the rope gets caught up in your feet, then that jump doesn't count. And when you start jumping again, your next jump is #20 and not #21. Basically, you have to keep on repeating the jump until you get it right. Rule #3: If you start this challenge, you HAVE to finish it! Personally, I set my goal at 100k jump ropes in 30 days – and I'm going to average about 5k jumps per day for 20 of the 30 days. You might be in much better shape than me and set your 100k challenge for a week. Or you might be new to jumping rope or just getting back into shape and set your goal at 3 months. The time frame you set doesn't matter – as long as it's a challenge for you. So declare your time frame from day one and then hit that goal at all costs. What's the inspiration for this challenge? As many of you know about me, I've always loved challenges and used to document them online. For example, you may remember the time I lost 19.6 pounds in 30 day, or my 30 day Bikram Yoga challenge, or my 30 day Spanish challenge. I don't document my challenges online as much anymore, but I still regularly partake in challenges aimed towards self improvement. And for the past 4 1/2 years that I've lived exclusively on Airbnbs and traveled with two small bags, my challenges have had to adapt to my nomadic and minimalistic lifestyle – which was my inspiration for creating Travel Challenges – starting with this one. Travel Challenges are self improvement challenges that you can do from anywhere in the world, including your own home, without any special requirements or equipment needed. Staying in shape, keeping your mind sharp, and self-improving come with a different set of obstacles as travelers since our lifestyles aren't always as routine as back home. And that's why I've decided to create Travel Challenges exclusively for travelers like you so that our nomadic lifestyles won't stop us from making this year the best one we've ever had! More travel challenges are coming soon, so join my e-mail list to stay informed and also follow my page on Facebook. Start the 100k Jump Rope Challenge today! Pick your timeframe (1 week, 30 days, 60 days, 90 days, etc). Declare your challenge online (and simultaneously challenge your friends) by sharing this post or this video. NextWhere do all the flowers come from?